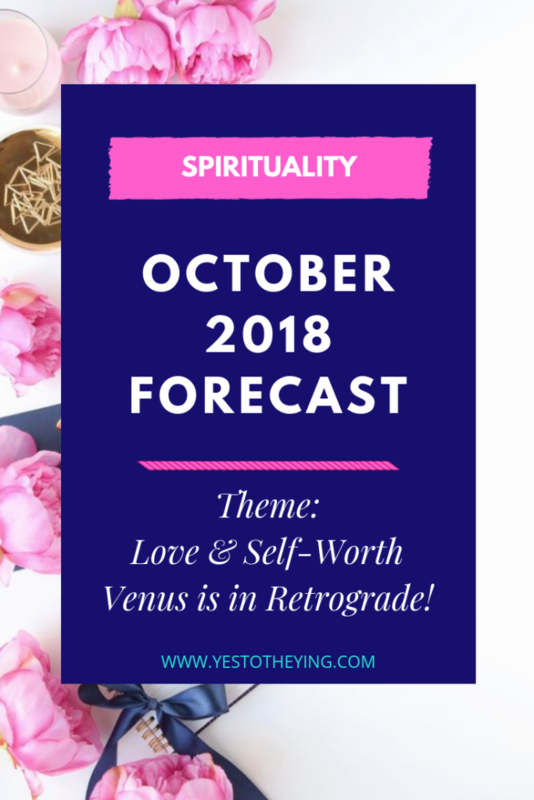 October 2018 Forecast— VENUS is in RETROGRADE! You may have wanted to finish this year off with a bang, but… have you been feeling a little funky the past few weeks? Maybe you’ve been questioning your self-worth or second-guessing whether you are really deserving of getting that raise or buying that coveted item that caught your eye. Maybe you saw a gorgeous burgundy sweater at Nordstrom and thought: OMG— I LOVE that!! I have to have it! But then looked at the price tag and said to yourself Oof… $30!! I don’t know if I should spend $30 on that right now. There are more important things I should spend my $30 on. Like, pay my bills. I love it, but… I shouldn’t… priorities. IF you’ve been experiencing something similar to that, YOU ARE NOT CRAZY! Venus is going into retrograde on October 5th, which means you’ve been feeling glimpses of it during this past shadow month. Because Venus (the planet of love, beauty, and money) is going into retrograde this month (from Oct 5 – Nov 16), this month is aaaalllll about LOVE & SELF-WORTH. Venus wants to remind you that you are worthy of everything you desire— including gorgeous burgundy sweaters!! AND— since Venus is going retrograde in Scorpio, you will experience a lot of old issues that you may have buried come to light. But it’s okay!! It’s actually a GREAT THING!!! 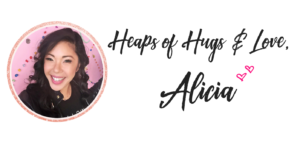 You might be thinking: OMG, Alicia— you are f***ing crazy! I don’t want to go through any more emotional heartbreak and painful! And I say: I totally hear you! And I want you to know that it doesn’t have to be heart breaking. And it doesn’t have to be painful. This month can actually be full of RELIEF and HEALING. You will be reassessing and re-evaluating your relationships to yourself, your self-worth, your self-love, your friendships, your romantic relationships, your beauty, and your money. New moon in Libra is happening on Oct 8 which will bring in a lighter, fresher energy that will definitely be enjoyed! You will feel more open, more expansive, and more receptive to the abundance of golden opportunities that The Universe has in store for you— YAY! This is a wonderful new moon for seeing that even if a door has closed, The Universe has a window open for you. #theuniversehasyourback. Following the new moon, the 10th day of October (10/10) unlocks a powerful gateway of energy that is all about taking steps in a new direction. This is a time to find new potential in what you have been working on and really solidify what kinds of relationships and connections you want in your life as well as how you want to build your business/income. Then the full moon in Taurus is happening on Oct 24 which asks you to release and let go of those relationships, connections, and systems that are not bringing you joy. This is a perfect time to take the lessons from this Venus Retrograde to heart and assess the relationships in your life. Especially with money, this is a time to review your finances. Set up systems that create more stability and security for you financially. Release and restructure old beliefs or habits that drain you of the wealth and freedom you desire. This month is chock full of healing that will feel so good for your soul! And this is really a month to focus on the JOY OF CONNECTION. Connection to other like-minded souls. Venus is really asking us to look for and fill our lives with positive and loving connections. She will highlight which connections are working and which ones are no longer working. Meaningful connections brings more joy and enthusiasm and love into our lives. So the more we can create those, the more love and money we will receive. 1 Pay attention to how joyous you feel. What can you do to bring more joy into your life? Where can you build more joyful connections? The more you build your new foundation on things and people that bring you joy, the more prosperous you will become! 2 Allow yourself to be guided. Ask The Universe to give you signs and follow them. Tune in to your heart. What is it telling you it wants? Go do that. If you can’t hear what your soul is trying to tell you to do, notice how you feel. If someone or something is making you feel bad, get rid of it. If it is bringing a smile to your face or squeals of joy, hang out with that person/buy that thing/do that action. Using your joy as a guide will always lead you to greatness! I hope this helps you navigate through this month’s healing energy! To help you even more, I created a FREE 10 day course called The 90 Day Planner! You can use it to work through this month’s energies and build the life filled with love, abundance, joy, freedom, and security that you deserve and desire! YOU ARE SO WORTHY OF EVERYTHING YOU DESIRE! !